The Foreign Exchange returns to Ohio! Akron, Darien Brockington, E.J. 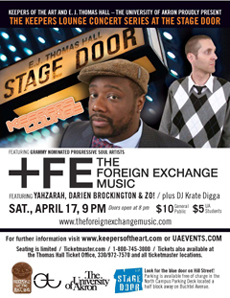 Thomas Hall, Nicolay, Phonte, The Foreign Exchange, YahZarah, Zo!